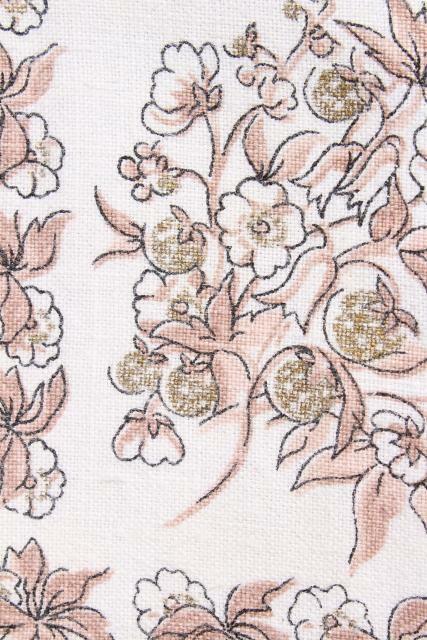 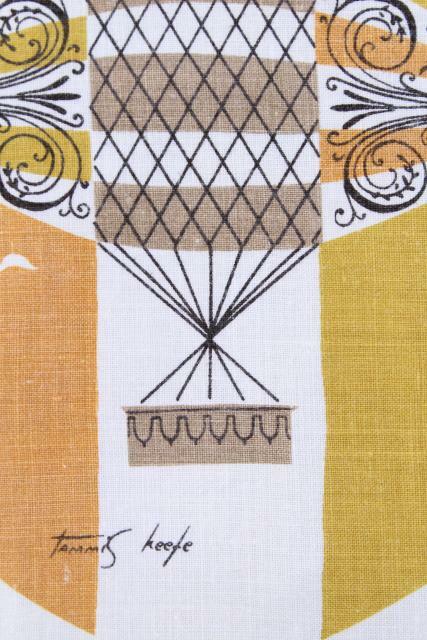 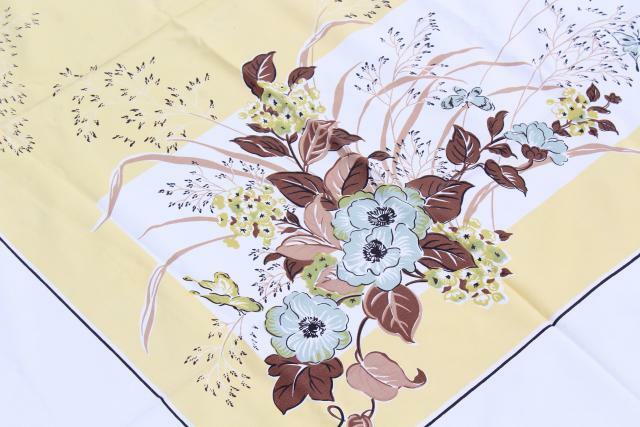 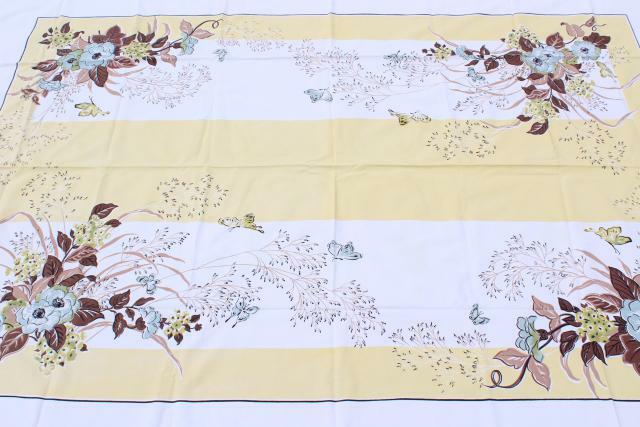 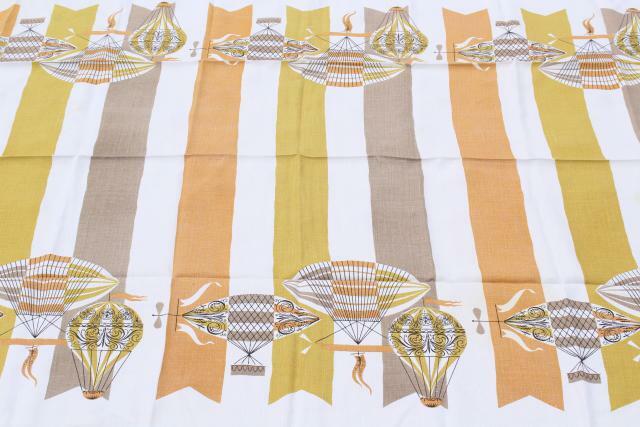 Lot of five vintage cotton or cotton / linen tablecloths, all 60s print designs, very retro! 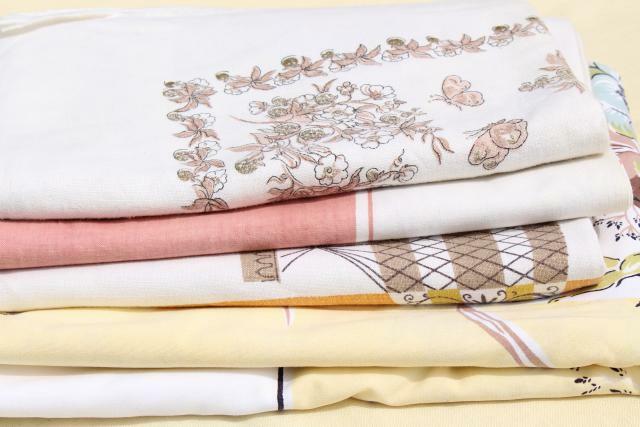 We love the warm coral and yellow gold colors in this lot, pretty for fall or spring. 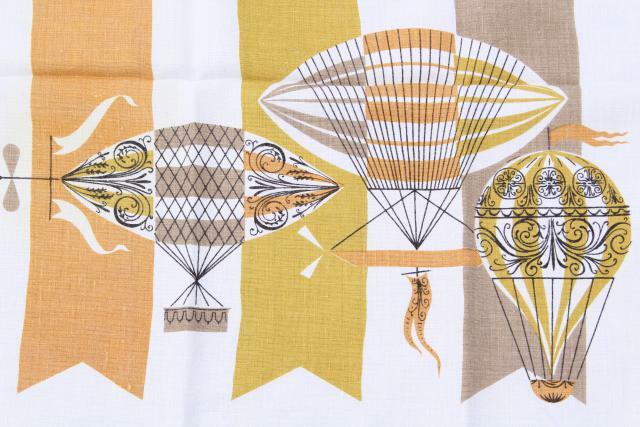 Love that hot air balloons print tablecloth especially, fun steampunk style. 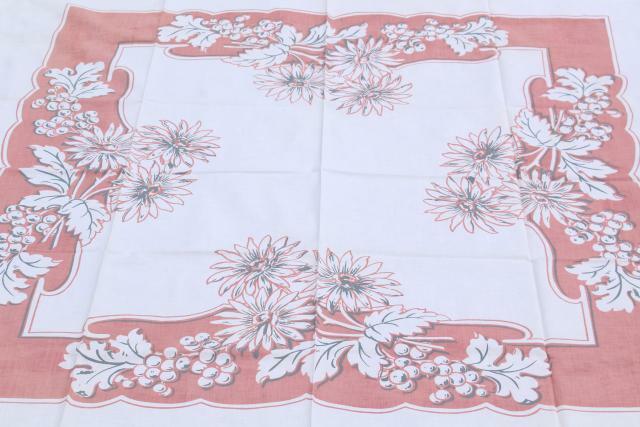 These are kitchen table sized tablecloths, no card table cloths. 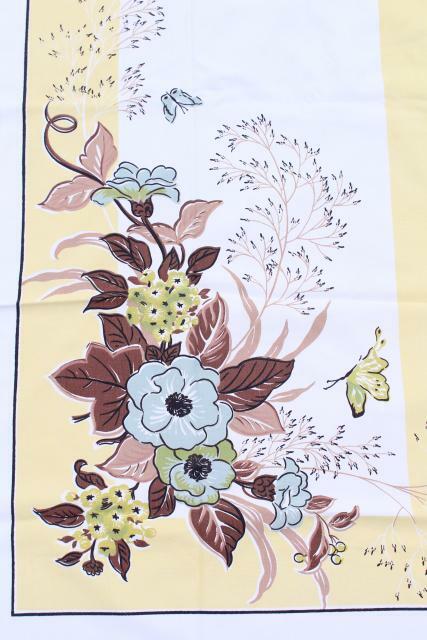 All have been used and have some spots... none have major wear, fading or noticeable holes. 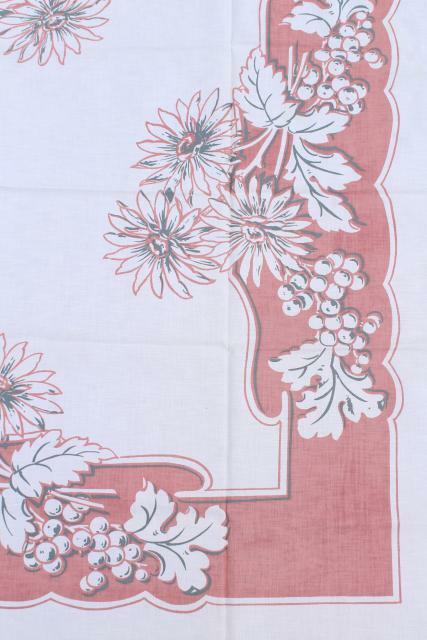 They'd make great aprons or curtains as cutters. 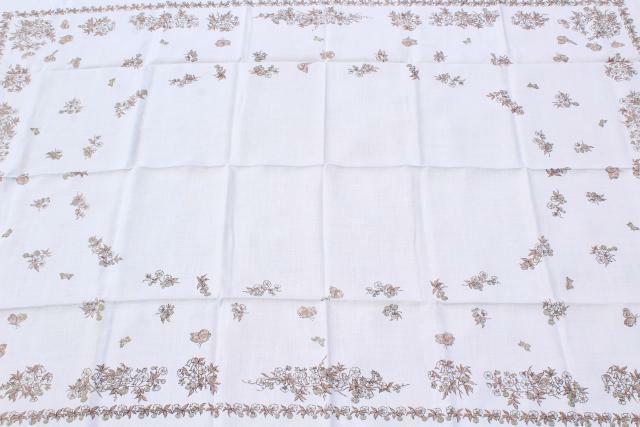 Or lots of life left as table linens!